Spread the cost from only £105.56 a month with Interest Free Credit. Deceptively simple in its design, the Multy packs a host of features into its slender modern frame. 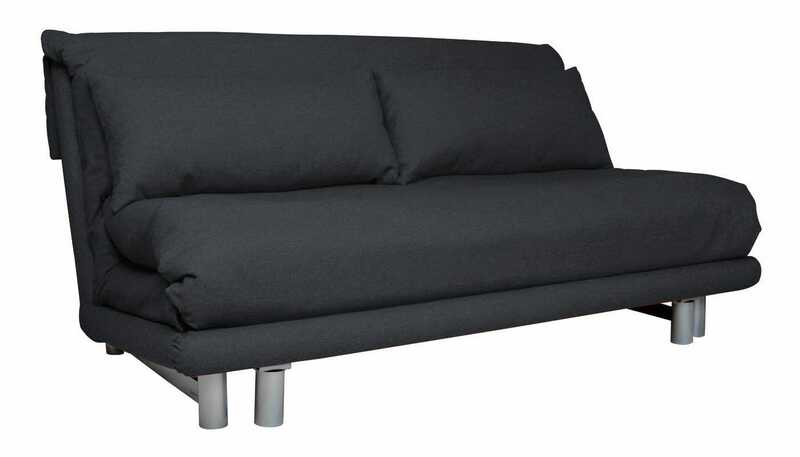 Designed and produced within Ligne Roset’s factory in France, the innovative adjustable steel frame and folded cushioning enable this Sofa Bed to effortlessly transform into a variety of configurations to suit your space. So comfortable and useful. It is great! There's a design fault with the side zips making it very difficult to close the sides. There should be two zips in the main section. The sofa itself is not easy to pull out and put back for a single person.